The highly renowned P.F. Chang’s China Bistro has opened its first Philippine branch in Alabang Town Center, making it the chain’s first venture into Asia. 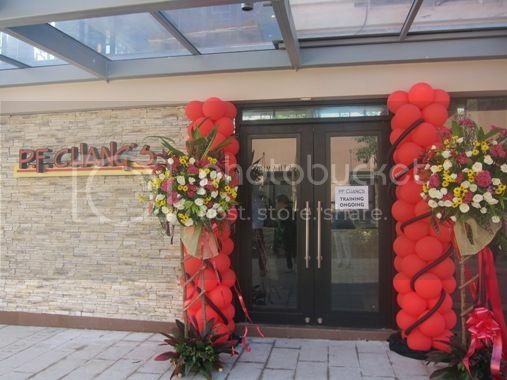 The press launch was held at The Street in Alabang Town Center last Tuesday, January 17, 2012. The bigwigs of P.F. Chang’s hopped from one table to the next to converse with the guests who were the first to savor some of the restaurant’s most delectable treats. The foods that were served on our table surely delighted my appetite. 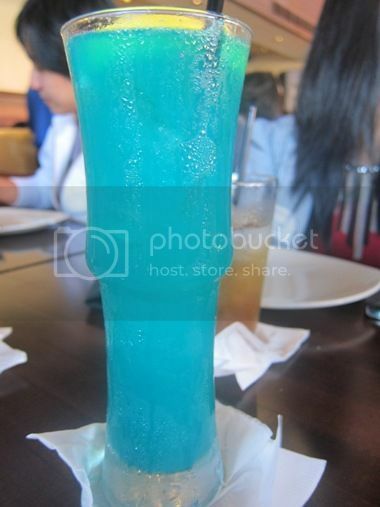 I don’t drink alcohol, but I had a great time taking pictures of these colorful cocktails. 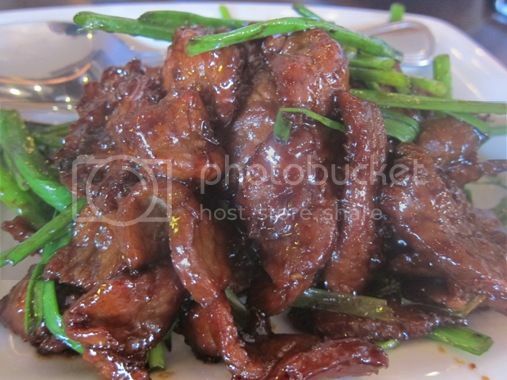 Tender flank steak wok-cooked then quickly tossed with scallions and garlic. Wok-fried with Sichuan preserves, onion, chilli paste and garlic. 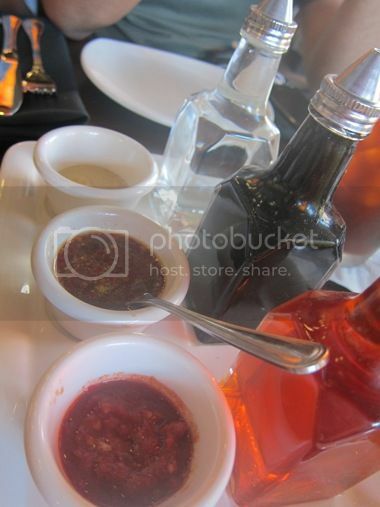 Ida, our server, called this the “level-up sauce.” She simply mixed everything (hot mustard, potsticker sauce, chili paste, chili oil, soy sauce and white vinegar). She said this complements all of P.F. Chang’s dishes. 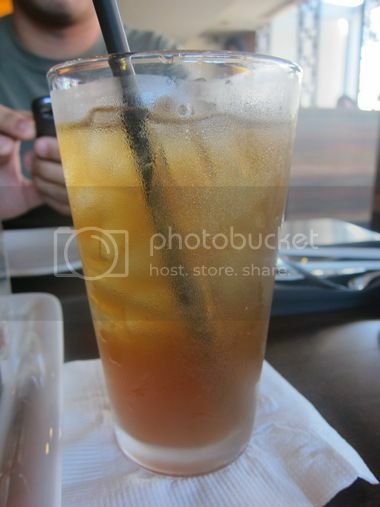 Jasmine Iced Tea (left), Tamarind Iced Tea (right). 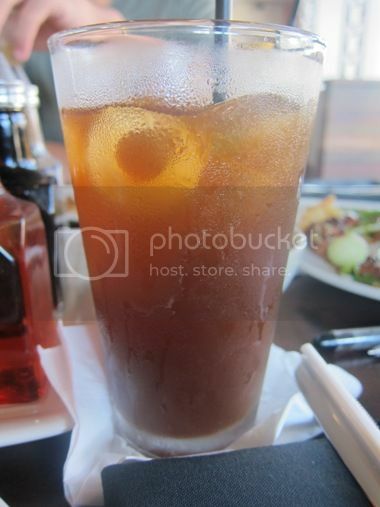 The Tamarind Iced Tea is only served in the Philippines. Everything was delicious, but I particularly liked Chang’s Chicken Lettuce Wraps, Dynamite Shrimp, Northern Style Spare Ribs, Shrimp with Candied Walnuts and Lo Mein. P.F. Chang’s serves Chinese cuisine in a modern bistro setting that offers signature cocktails, wines and desserts. It has over 200 branches in the U.S. and 12 branches in Mexico, Puerto Rico, Kuwait and United Arab Emirates. P.F. Chang’s offers simple, no-fuss dishes which are inspired by cuisines from the different regions of China, namely: Peking or Northern China, Shanghai or Eastern China, Cantonese or Southern China and Sichuan and Hunan Twin Western Province of China. 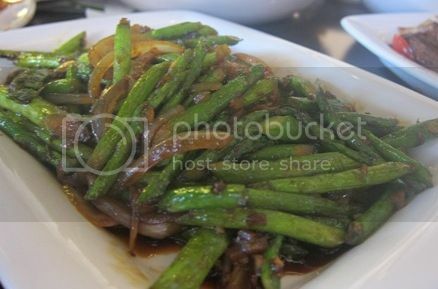 They serve fresh food, prepared at the moment using high-quality ingredients. They also offer a gluten-free menu and a vegetarian menu. P.F. 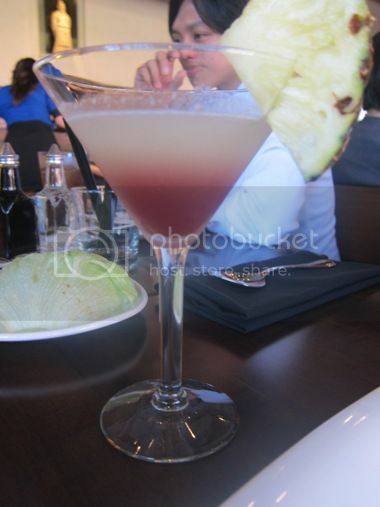 Chang’s has received the 2012 Cheers Beverage Excellence Award for having the Best Overall Beverage Program. P.F. 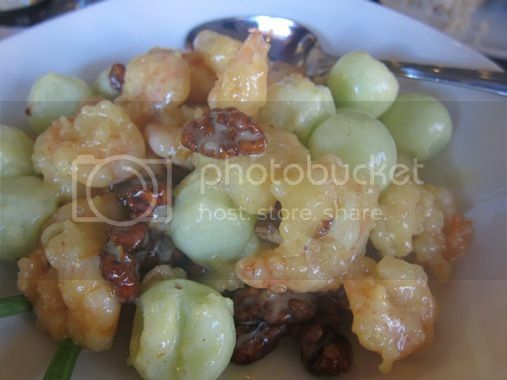 Chang’s has also been recognized as the “Most Popular Full Service Chain in the United States” on the 2011 Zagat Survey. P.F. 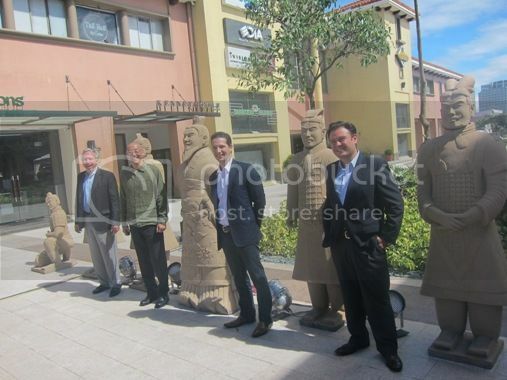 Chang’s in Alabang Town Center was officially opened to the public yesterday, Thursday, January 19, 2012. 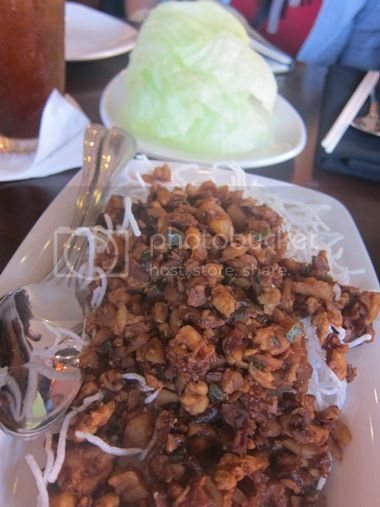 This entry was posted in Alabang Town Center, Chinese Cuisine, Food Trip Friday, P.F. Chang's China Bistro. Bookmark the permalink. yay! congrats on the new resto in town 🙂 I think we have that at the mall too. 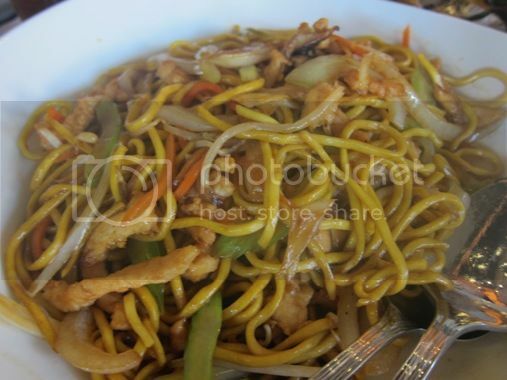 The foods look delish Sis but I love the lomein 🙂 Visiting from Food Trip Friday, hope that you can return the visit too. It all looks good but a little too pricey ata. I’d like to try the shrimps! Visiting from FTF! wow, another resto to try, thanks for sharing! kasarap ng foods! It’s in Alabang so, it is definitely priced a bit high. I’ve read the same at Yedy’s blog, were you guys at the opening? Hi, Joy! 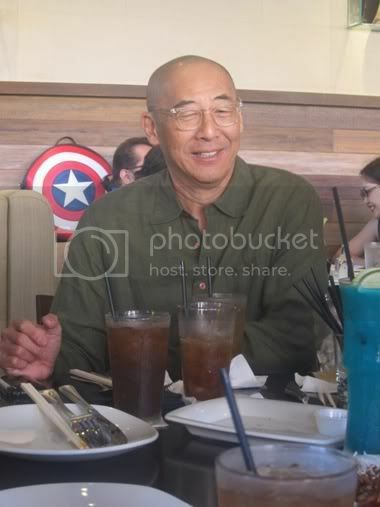 I guess we (Yedy and I) were both at the press launch, but perhaps we’re seated at different tables. We also don’t know each other yet. visiting you back for FTF! nakakagutom! namamahalan ako sa price nang dish…am sure sulit nman! everything just looks so mouthwatering. that resto could wreak havoc on one’s diet. lahat masarap 🙂 thanks for the visit. oh, what a delightful meal. 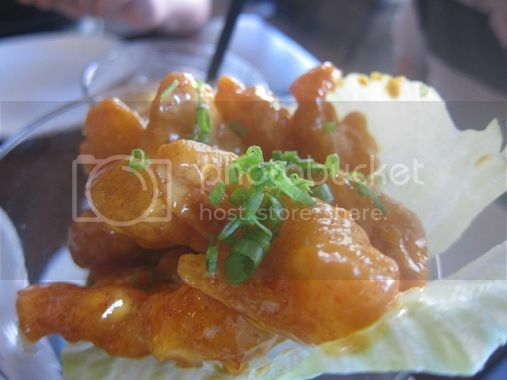 will definitely dine here when i get the chance to visit my friend in Alabang. 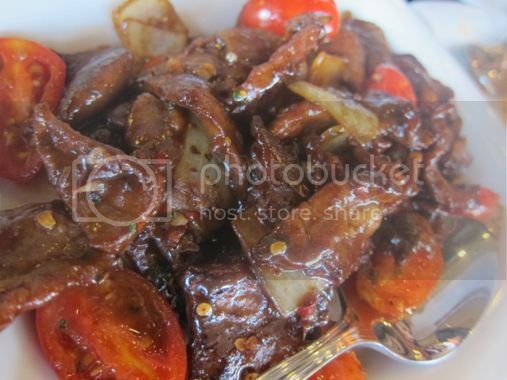 I want to try Chengdu Spiced Lamb looks very yummy. I love all the foods, I hope when we go to manila I could get a taste of their foods. Mine is up I hope you could visit me as well. oh wow…what a feast! 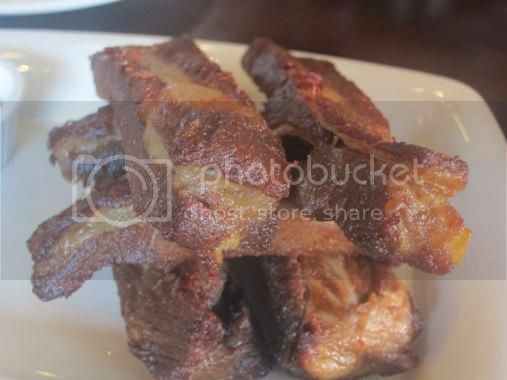 i must admit, that northern style spareribs got to me…am drooling! hehehe. they are a bit pricey for me, but that wouldn’t stop me from eating there, if given a chance. lol. all the foods here looks delicious. It’s quite pricey, but I think we will give them a visit when we go at ATC. I wonder how an American-Chinese restaurant will fare against the numerous Chinese restaurants we have here. Now, how to I drag myself to Alabang, here’s hoping they open a branch nearby. 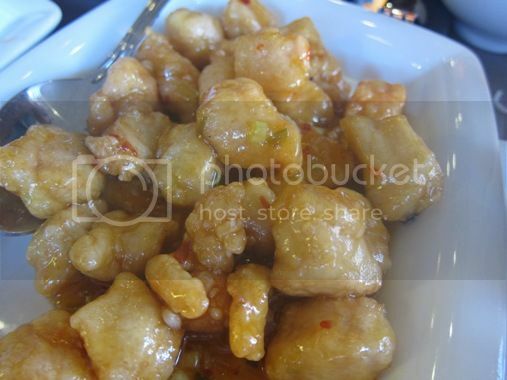 Looks like every chinese resto in the world served the same type of dish.